The other day I was reciting that John Masefield poem called Cargoes to one of the dogs. That’s the short poem which begins theatrically with the evocative line, “Quinquireme of Nineveh from distant Ophir”. The dog seemed to enjoy the recitation but I don’t suppose she has the remotest idea what a quinquireme is. Perhaps you don’t either, in which case I shall leave you to find out about them for yourself. Assuming of course, that you feel it’s worth the effort. Incidentally, I wouldn’t want everyone to know that I recite poetry to the dogs, so I’d be grateful if you would keep this snippet of information to yourself. Anyway, the nautical theme of the Masefield poem led me to thinking about sea shanties, those colourful and energetic work songs that flourished during the second half of the nineteenth century and coincided roughly with the rapid development of merchant shipping services. It’s thought that sea shanties date back to the fifteenth century and perhaps even earlier, when there was much repetitive work to be done on ships like reefing sails, hauling lines or using a pump or capstan. Strangely enough, before the nineteenth century, singing was actually prohibited on many British ships. We don’t know for sure about the origin of the word shanty (or “chanty”) though one obvious explanation is that it comes from the word “chant” which itself comes from the French word chanter meaning to sing. On the other hand, it might have a similar origin to the expression shanty-town. The lyrics of British sea shanties come from many sources. It’s thought that many are based on the hauling cries of Elizabethan seamen or from the rich source of British folksongs. Some shanties, like so many words in the English language were almost certainly imported from other countries. The music of the prolific English composer Malcolm Arnold seems to have fallen out of popularity in recent years, despite the fact that he wrote nine symphonies, numerous concertos, concert works, chamber music, choral music and music for band. He wrote over a hundred movie scores, including the music for the 1957 film The Bridge on the River Kwai which was based in Thailand but actually shot in Sri Lanka. So it seems appropriate to cite a performance given by a Thai wind ensemble, and very competent they are too, being members of the Silpakorn Summer Music School. 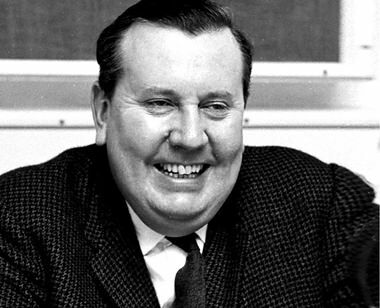 Malcolm Arnold wrote this attractive three-movement work in 1943 and it’s based on three sea shanties: What shall we do with the drunken sailor? Boney Was a Warrior and finally Johnny Come Down to Hilo. Arnold uses spiky harmonies and “wrong-note” effects and uses his skill as a composer to develop each song into something completely new and refreshing. It’s all clever stuff. This short but well-known work is based on the sea shanties Princess Royal, Admiral Benbow and Portsmouth. It’s basically a three-part march and you may recognise some of the melodies because this work has had plenty of radio and TV exposure over the years. The composer originally scored the work for military band and it was used as the start-up music to Britain’s Anglia Television until the early 1980s. Sir Henry Wood conducted London’s annual series of promenade concerts, known as the Proms for nearly half a century. Although the Proms brought hundreds of new works to British audiences, Wood’s Fantasia on British Sea Songs has become the traditional finale to the Last Night of the Proms. The work was written in 1905 to celebrate the centenary of Nelson’s victory at Trafalgar and this video is the original version. There are nine sections which are described on the web page. The performance of this piece on The Last Night is a peculiarly British event which would leave most foreigners bewildered. At various times during the work, the audience traditionally sings along with the music, whistles or claps or engages in a strange knee-bending activity. The last number, Rule Britannia sees the appearance of British flags which are usually waved triumphantly in an unabashed display of passionate nationalism, although I noted that at this particular performance there seemed to be fewer flags than usual. Even so, I don’t suppose many of those people in the audience know what quinquiremes are either.